WELLSVILLE — Wellsville Lions Club has selected Austin J. Dalrymple as the Wellsville High School Student of the Month for February. He is the son of Frank and Amy Dalrymple of Wellsville, and is ranked 9th in his class. His academic awards include the following: National Honor Society (president), A Honor Roll, 3.75 honors, The Frederick Douglass and Susan B. Anthony Award, The OVAC All-Academic Award and The American Legion Americanism and Government Award. He also is a student at Kent State University, where he was named to the Dean’s List and was also inducted into the National Society of Collegiate Scholars. 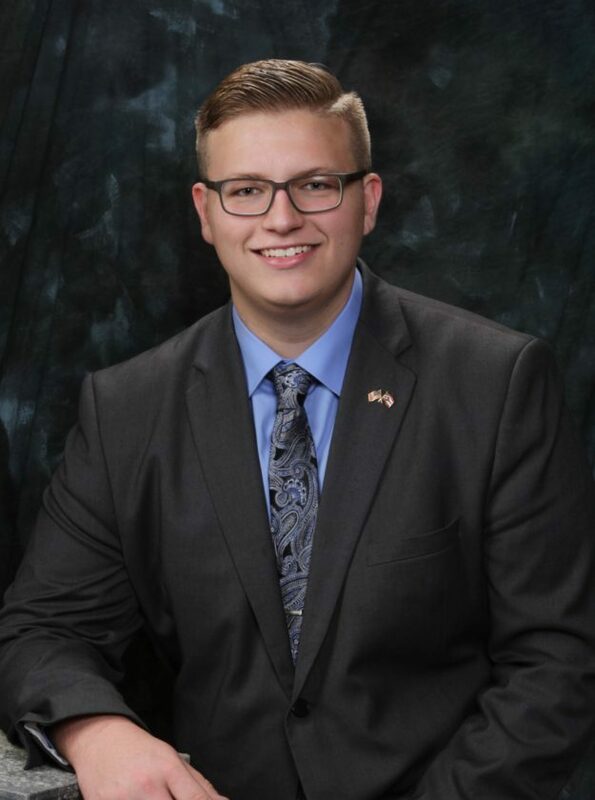 He was a 2017 delegate to Buckeye Boys State, where he was selected as a finalist for Buckeye Boys Nation and won The Outstanding Citizen Award for the courts section. He was also chosen to attend the Hugh O’Brian Youth Leadership Summit at YSU. He was nominated to serve as Supreme Court Justice at the Ohio River Valley State Debate Event, which he attended as the Chapter president for the newly-formed WHS chapter of JSA, which he was instrumental in founding. His extracurricular activities include Science Club (treasurer and president), Leo Club, Y-Teens, (treasurer), A Simple Act of Kindness Club (treasurer and vice president), WHS Marching Band (chief librarian, council chairman, drumline captain, and president) WHS Concert Band (percussion section leader), WHS Pep Band (drumline captain), WHS Thespians, where he was named Outstanding Stage Performer two years in a row, bowling, Academic Challenge Team , Ebony & Ivory Show Choir, and the WHS Chapter of the JSA (founder and chapter president). He served as treasurer for his Junior Class and was a member of the 2017 Prom Court. He is involved with community service, where he has volunteered more than 500 hours to Ups of Downs, The WHS Walk-a-thon, the Red Cross blood drives, The Lindsey Salsberry Toy Drive, Ohio State Highway Patrol Click it or Ticket, We are the Majority Anti-Drug Rally in Columbus, Columbiana County Youth Leadership Summit, American Cancer Society Relay for Life, Care & Share, Y-Teens volunteer book reading, and the ADAPT Youth Leadership Camp where he now serves as a youth leader, and is coordinating the mock crash which will be performed at WHS for several area schools before Prom season. 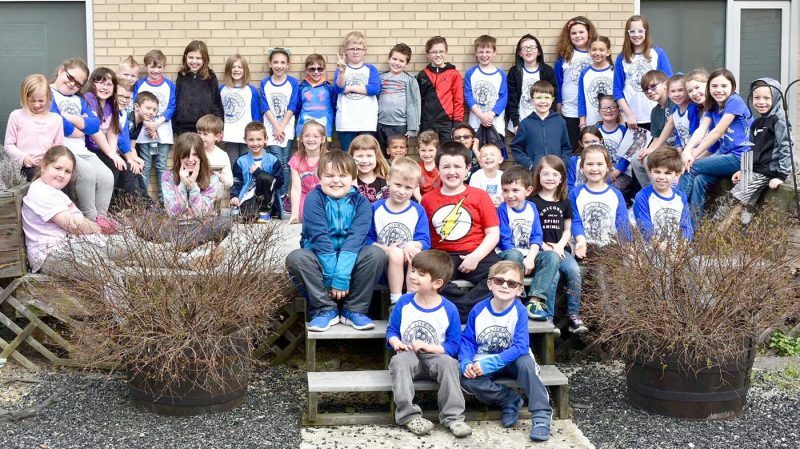 He also volunteers as an intern for Sen. Joseph Schiavoni and recently completed training to become a “Wish Granter” with the Ohio Chapter of Make-A-Wish. He has worked part time at Tim Hortons coffee shop in Calcutta since his sophomore year. He plans to attend Youngstown State University where he will be majoring in Political Science/ Public Administration (Pre-Law).